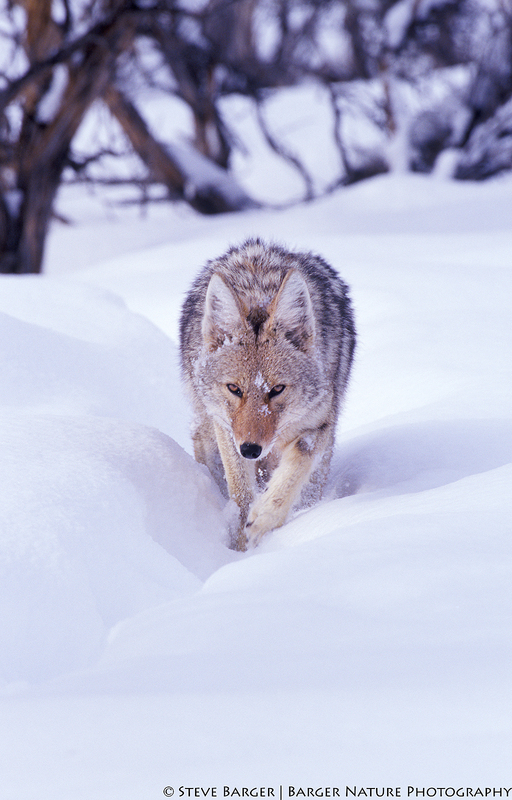 Coyote with snow on its face walking out of a patch of sagebrush in Yellowstone National Park Wyoming. Here is another image from the vault. Same location and same season as the Image in my last post, but different trip. This image is titled “Lone Journey”, and like the last image “Sneak Attack”, was captured outside Lamar Valley in Yellowstone National Park a year prior to capturing “Sneak Attack”. 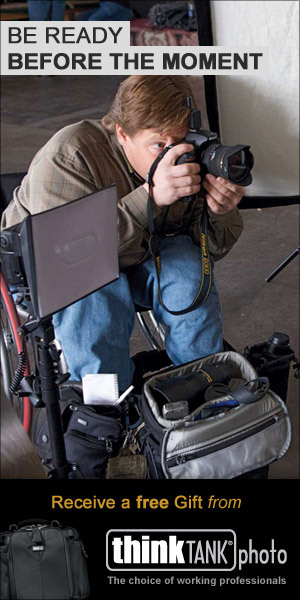 The stats for this image capture are similar; same camera, lens, and film. This winter the snow was particularly deep making it challenging for the wildlife to hunt. It would not be unusual to pass a coyote, bison, elk, or red fox on or near the road where the snow was not as deep. We were heading out of Lamar Valley one morning when we saw a coyote approaching on the road. Luckily there was a pullout which we used to allow the coyote to easily pass. I thought it best to photograph the coyote as he passed us by using the car as a blind. The animals in Yellowstone are used to cars and would not be disturbed if we remained in our vehicle. I turned the engine off to reduce the chance of any vibration blurring an image. I quietly rolled down the window carefully resting my 500mm lens with camera attached on the window sill. After a few minutes had passed, I noticed the coyote leave the road and disappear in a field of sage brush. I decided to take my camera, lens, and tripod and walk up the road to the spot where the coyote had left the road. As I walked further up the road, I noticed a well-used trail and coyote prints in the snow. Standing at the junction of the road and trail, I surveyed the field and noticed the coyote digging in the snow next to a sage bush. I watched through my camera and lens for several minutes while the coyote continued to dig. He was definitely up to something but I couldn’t tell what since he was about 100 yards from my position on the road and pretty small in the frame. Suddenly, he quit digging and started walking toward my position on the trail. I followed him as he walked on the trail and watched as he became bigger in the frame. Finally, when sufficiently large in the frame, I fired off several shots. The coyote continued his approach on the trail and I continued to photograph him. Suddenly he stopped on the trail, looking directly at me. I realized that I was standing on the road in front of his trail and he did not want to pass me in the deep snow. So, I quickly picked up my rig, relocating my position to allow the coyote to pass. That did the trick and he passed in front of me crossing the road. When he reached the other side he briefly stopped, glancing at me as if to say “I certainly hope you got a good shot because it doesn’t get any better than this”. And he was right.